Approximately one third of Pickerington students are identified as gifted cognitively or in one or more academic areas. The district provides a continuum of services to gifted students, including enriched, accelerated, compressed, and differentiated curriculum and instruction. The Ohio Department of Education defines “gifted” as a student who performs or shows potential for performing at remarkably high levels of accomplishment when compared to others of the same age, experience, or environment (ORC, Sec. 3324.01). We recognize that the unique characteristics of gifted children necessitate differentiated programming. Special characteristics may include precocious insightfulness, uniqueness of response, and the ability to integrate several levels of thinking and reasoning. The district provides differentiated learning experiences for those children identified for gifted education services. These experiences may include the provision for quality time spent with peers of similar interest and abilities; opportunities for involvement in clubs, organizations, enrichment groups and activities; and social and emotional support, whole class lessons, and small group work. Step one (Screening all students): All students are screened for gifted identification in grades 2, 3, 5, and 11 as part of whole-grade screening. This ensures equal access to screening and further assessment of all district children, including culturally or linguistically diverse children, children from low socioeconomic backgrounds, children with disabilities, and children for whom English is a second language. Opportunities exist for students to take these tests in their native language and for students with physical and sensory needs to take these tests with appropriate accommodation as each assessment permits. Parental authorization is not required for whole grade assessments; however, parents may opt their children out of participation in group assessments by submitting a written request to the building principal. Some students are identified as gifted directly from this screening step. Tests are administered by qualified and licensed educators. By using tests from the Ohio Department of Education-approved list, the district ensures the tests are valid for all special populations. Step two (assessment of some students): The assessment stage examines the data gathered from the whole grade screening stage and determines if additional assessment is necessary. In making decisions about additional assessment, existing test data for students is not the sole determining criteria. School personnel examine all available information about a student to determine if evidence of possible giftedness exists and then conduct necessary additional assessments. District-determined cut-off scores (to move students from screening stage to the proactive assessment stage) are lower than the scores necessary for identification. Step three (individual/small group assessment, affecting few students): Assessment strategies provide additional data necessary for an identification decision. Strategies for additional assessment include the individual and group-testing requirements of Ohio Revised Code Sections 3324.01-3324.07. Parent authorization must be obtained for individual assessments. Once additional assessment has been completed, the data obtained throughout the stages of identification are compared to the State of Ohio gifted standards. Parents are notified of the assessment results. Some students are identified at this point. Parent/guardian referrals: Although anyone may refer a student for possible gifted screening, a parent or legal guardian’s signature is required to begin the assessment process. All referrals must be in writing on the district Screening Referral and the person initiating the referral must obtain the signature of the parent or legal guardian of the student. Referrals may be submitted for the district’s fall or spring referral deadline. Any referral received after the deadline will be screened and assessed in the following testing window which may be in the subsequent school year. Gifted referrals are not to be used as a means to request testing for purposes other than the identification of gifted students. To request testing for any purpose other than gifted identification invalidates the referral and disqualifies the student from testing during that testing window. After the referral is submitted, the testing may occur at any time. The testing may be in small or large group. Parents are not notified of the name of the testing instrument nor of the time/date of the assessment prior to testing due to the large number of gifted referrals and the complication of scheduling these tests at 14 different buildings. Additionally, gifted assessments are secured testing materials. There is no recommended “studying” for these types of tests. Parents/guardians/teachers will receive their student’s total score, but in no situation will be able to review test question or individual student answers. Results will be either emailed to the parent at the address provided on the testing referral or sent home in letter format with the student. Note: No referrals are required for second, third or fifth or eleventh grade in the fall window because whole-grade screening covers the testing for those time periods. At the request of the parent, Pickerington Schools will test any child transferring into the district within 90 days of the transfer, provided the request is made at the time of registration. Requests made after the student has been enrolled in the district and attended classes for more than 10 school days will no longer be considered as transfer student requests, and the student will be tested in the next testing window based on the date of receipt of the Screening Referral. Students with a 504 Plan or IEP may attach documentation detailing accommodations to the screening referral if they wish to utilize these accommodations for gifted screening. Outside data will be accepted for identification and service provided it is from testing performed by a licensed psychologist in the State of Ohio, is less than 24 months old, occurred when the student was at least in second grade, and used a testing instrument from the Ohio Department of Education’s Approved List for Gifted Identification. For information on submitting outside testing data, contact Leanne Ross at Leanne_Ross@plsd.us. Superior cognitive ability: Two standard deviations above the mean on an IQ or SAI test. Generally, a 130 plus or minus the standard error. Depending on the assessment, students can qualify for this identification with a score between 126-129. Examples of tests in this category are the Inview, Otis Lennon, and Cognitive Abilities Test. Gifted in reading or English language arts: A 95th percentile on a nationally normed achievement reading or language test. Examples of tests in this category are the Stanford, Terra Nova, and Iowa. Gifted in math: A 95th percentile on a nationally normed achievement math test. Examples of tests in this category are the Stanford, Terra Nova, and Iowa. Creativity: An SAI/IQ of one standard error or higher. Generally, 115 plus or minus the standard error and an approved score on a creativity checklist by a trained educator. Gifted in the arts: An approved score on an evaluation by a trained educator in the area of identification (music, fine arts, theater, dance). Students who have a Gifted in Reading/ELA Identification will be placed in a Reading Cluster classroom in 3rd through 6th grade where they will be offered reading and language enrichment of the grade level content standards. In the event that more students have a Gifted in Reading Identification than there are spots in the cluster classroom, seats will be given to students with the most recent gifted identification dates and/or highest SAI/IQ scores first. Students placed in this class must also have scored Proficient or higher on the previous school year AIR ELA test. 6th – I Am Malala by Malala Yousafzai with Patricia McCormick also complete Double Entry Journal. DIRECTIONS: The left side of your table must contain at least fifteen quotations/statements from the reading with page numbers noted. Should you wish to refer to a particularly large selection, you may paraphrase it. • What strikes you about this? • What was your first thought when you read this? And then? And then? •What does this passage/idea make you think of or remember? • Do you want to challenge or qualify this author’s claim? In what ways do you agree with it? Disagree? • What else have you read/heard/experienced that connects with this author’s ideas? • Does something confuse you or lead to further questions? • How do you feel about this? This assignment is meant to help you analyze the text – similar to textual annotation AND prepare you so that you are able to talk about your selected passages in class; keep track of which passages you wrote about. When I grade these, I will be looking for detail. The best way to guarantee earning full credit for this assignment is to comment fully on your passages. Gateway Academy is a comprehensive fourth- through sixth-grade gifted program housed at Toll Gate Middle School. At Gateway, students receive accelerated and enriched English language arts and math curriculums, along with enriched science and social studies curriculums. Students spend the entire school day with gifted peers and are instructed by gifted intervention specialists who are uniquely trained to support their social and emotional development. At the end of the three-year program, students enter junior high school advanced one year in English and two years in math. Students may enter Gateway at the beginning of fourth, fifth, or sixth grade. For students entering in fourth and fifth grade, integration is complete and seamless. Students who join Gateway for the first time in sixth grade are entering with potential gaps in their foundation skills, as they have missed two years of the compacted and accelerated curriculum. These students do not receive a written acceleration plan upon entrance into the program. The intended pathway for students new to Gateway in sixth grade (either from other districts or from the regular classroom) is to experience the Gateway program to prepare them to succeed in Gifted ELA 7 and Advanced Math 7/8 as seventh graders in junior high school. This pathway allows these students to benefit from the enrichments of Gateway without undue stress or the expectation that they make up three to four years of curriculum in one year. Students who enter Gateway from the Pickerington fifth grade MathPlus classroom can expect a seamless math transition and will receive a written acceleration plan in math only. A student who meets all of the following requirements shall be eligible for consideration for selection to the Gateway Academy. School Ability Index (SAI) or Intelligence Quotient (IQ) as measured by a standardized group intelligence test administered within 24 months before initial placement, with performance two standard deviations above the mean, minus the standard error of measurement. Specific academic ability in mathematics, as measured by a standardized group achievement test related to specific academic ability and administered within 24 months before initial placement, with performance at or above the 95th national percentile. Specific academic ability in reading/language, as measured by a standardized group achievement test related to specific academic ability and administered within 24 months before initial placement with performance at or above the 95th national percentile. Math Plus is a compacted, enriched, and accelerated math program in fourth through sixth grade at every Pickerington elementary and middle school. Students receive accelerated and enriched math curriculums. Students spend the daily math class with gifted peers and are instructed by gifted intervention specialists who are uniquely trained to support their social and emotional development. At the end of the three-year program, students enter junior high school advanced two years in math. Students who enter MathPlus in sixth grade for the first time will not automatically be accelerated in Math because they have not covered the prerequisite materials in fourth and fifth grade. The plan will be for these students to prepare to take Advanced Math 7/8 in seventh grade. School Ability Index (SAI) or Intelligence Quotient (IQ) as measured by a standardized group intelligence test administered within 24 months before initial placement with performance of 122 or higher. Specific academic ability in mathematics, as measured by a standardized group achievement test related to specific academic ability and administered within 24 months before initial placement with performance at or above the 95th national percentile. School Ability Index (SAI) or Intelligence Quotient (IQ) as measured by a standardized group intelligence test administered within 24 months prior to initial placement, with performance three standard deviations above the mean. NAI scores from Naglieri Nonverbal will not be used for this qualifier due to the exclusion of the verbal component on this particular test. Gifted English 7, 8, and 9 are enriched courses offered at the junior high school level, where students are offered a wider breadth and deeper exploration of the grade-level content standards. Students complete additional and above-grade level readings, written work, and projects to extend their learnings beyond the traditional classroom. Gifted English 9 is a high school English course that is taken for high school credit and impacts the high school GPA. Gifted English 9 now has an AIR end-of-course exam that must be passed as part of the Ohio High School Graduation Requirements. Gateway students continue their accelerated and enriched ELA curriculum in the junior high, with Gifted English 8 (as a seventh grader) and Gifted English 9 (as an eighth grader). These are the only students eligible for these classes, as they have already completed Gifted English 7 at Gateway Academy and achieved a score of Accelerated or higher on the state seventh-grade ELA AIR test as sixth graders on written acceleration plans. Students who enter Gateway in sixth grade for the first time will not automatically be accelerated in English Language Arts because they have not covered the prerequisite materials in fourth and fifth grade. The plan will be for these students to prepare to take Gifted English 7 in seventh grade. Any student who meets all of the following requirements shall be eligible for consideration for selection to the Gifted English 7 as a seventh grader or Gifted English 8 as an eighth grader. School Ability Index (SAI) or Intelligence Quotient (IQ) as measured by a standardized group intelligence test administered within 24 months before initial placement with a performance of 122 or higher. Specific academic ability in reading/ELA, as measured by a standardized group achievement test related to specific academic ability and administered within 24 months before initial placement with a performance at or above the 95th national percentile. Score of proficient or higher on previous year’s ELA AIR test. Algebra and geometry are rigorous high school math courses that are taken for high school credit and impact the high school GPA. Both courses now have AIR end-of-course exams that must be passed as part of the Ohio High School Graduation Requirements. Gateway and MathPlus students continue their accelerated and enriched math curriculum at the junior high level with Algebra (as a seventh grader) and Geometry (as an eighth grader). These are the only students eligible for these classes, as they have already completed MathPlus 7/8 through Gateway Academy or MathPlus in sixth grade and achieved a score of Accelerated or higher on the state seventh grade math AIR test as sixth graders on written acceleration plans. An additional pathway to Algebra (to be taken in eighth grade) is available for students who have not qualified for MathPlus or Gateway. Students who score in the 90th percentile on a STAR math test during their sixth grade year or in the 90th percentile on a nationally normed math achievement test and have earned a score of Accelerated or higher on the sixth grade AIR test are eligible to take Advanced Math 7/8 in seventh grade. Completion of this course and a score of Accelerated or higher on the seventh grade AIR test allows a student to take Algebra as an eighth grader. All students taking Algebra and Geometry for high school credit must take the AIR End of Course Exam. There is no longer a pass/fail option for these courses and the grade earned will count toward the high school grade point average. Students who have met the qualifications for either MathPlus and/or Gateway are eligible for Math Enrichment in 3rd grade. Students may enter 3rd grade enrichment at the beginning of either the first or second semester depending upon when they meet the program qualifications. These services include enrichment of 3rd grade math content standards in a resource room environment multiple times a week to help prepare the student for the MathPlus curriculum. Students who have a Gifted in Math Identification but have not met the IQ/SAI requirement for MathPlus will be placed in a math cluster classroom in 6th grade where they will be offered math enrichment of the 6th grade content standards and limited introduction to select 7th grade content standards. Students will be graded exclusively on the 6th grade content standards and will take the 6th grade AIR test. In the event that more students have a Gifted in Math Identification than there are spots in the cluster classroom, seats will be given to students with the most recent gifted identification dates and/or highest SAI/IQ scores first. Students placed in this class must also have scored Proficient or higher on the 5th Grade Math AIR test. All service placement is based on space available in the program and at each location. Students may only begin services in fourth to eighth grades at the start of an academic school year. No transfers in placement will be made after the first day of an academic school year due to the results of subsequent testing or gifted identifications. Initial placement into services is based only on standardized test scores and gifted identifications within the previous 24 months. Students who apply for and are approved for open enrollment within the district are not guaranteed a spot in a similar class/program at their non home school if space is not available. Students who qualify for placement via outside testing may also be placed on a waitlist if no seats are available in a given program. All placements using outside testing data are made based on the date the testing results are received and verified by the district. Additionally, students who have previously declined an invitation to a given program and now wish to attend in subsequent years may be waitlisted to make room for students who are newly qualified for a program. Finally, students who exercise intra-district open enrollment may be waitlisted if the building to which they transfer does not have open seats for a program for which they have previously qualified at their home building. This should be of particular consideration at the middle and junior high school levels when making open enrollment decisions. 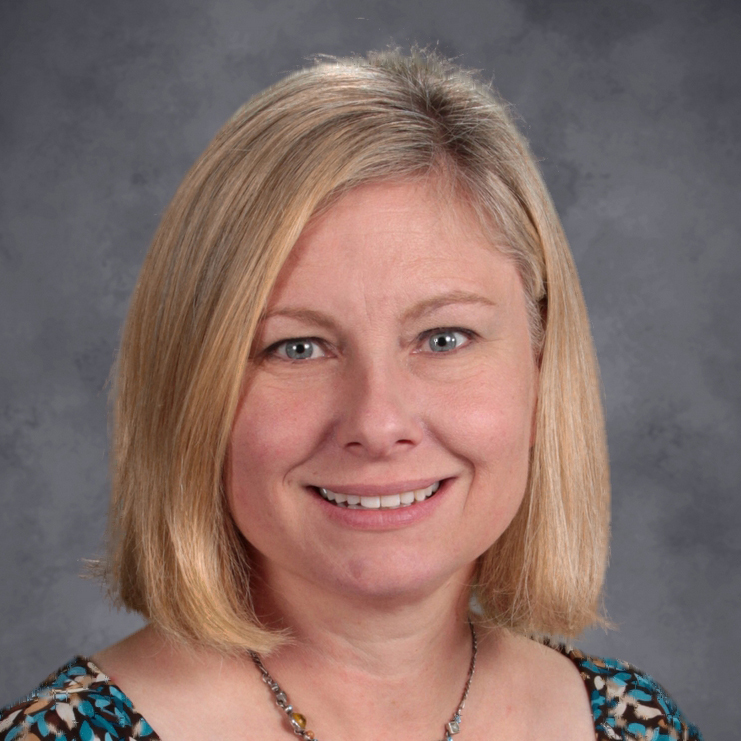 Families with students receiving gifted services who plan to move within the district should notify Leanne Ross in the gifted department as soon as they are aware of the potential change in school buildings. Every effort will be made to offer the student the same services in the new building, however, if the class is at capacity in the new building, the student may be placed on a wait list. The early entrance process assesses a child’s readiness for kindergarten and his/her intellectual and developmental progression relative to future success as the youngest student in his/her class in subsequent grades. The comprehensive process evaluates the aptitude, achievement, ability, interpersonal skills, and developmental maturity of the child. Early entrance is considered a grade-level acceleration and impacts a student’s entire academic career. To apply for early entrance for the 2019-2020 school year students must turn 5 years old between August 2, 2019, and January 1, 2020. After the early entrance application has been accepted by the building principal, parents/guardians will be directed to contact the Welcome Center to schedule a kindergarten screening. This screening typically takes one hour. The child must pass this screening to continue in the process. The building principal will notify parents/guardians of the results. If the child passes the kindergarten screening, the child will be scheduled for an IQ test. This screening typically takes one to two hours. The child must score a 115 on the IQ test to continue in the process. The building principal will notify parents/guardians of the results. If the child passes both the kindergarten screening and the IQ test, the early entrance testing coordinator will contact parents/guardians to schedule academic assessments and to complete the developmental scale. These assessments typically take one to two hours. After all testing is completed, an early entrance meeting will be set up by either the early entrance testing coordinator or the building principal to discuss the results of the child’s entire evaluation. This meeting will include the parent/guardian, building principal, early entrance coordinator, and a kindergarten teacher. The Iowa Acceleration Scale will be used to evaluate all assessments and information and obtain a recommendation related to whether the student will be accepted for early entrance. Decisions related to early entrance are not usually finalized until June or July. If applications are turned in after May 1, the decision can be delayed until as late as August. The entire process, from application to the committee meeting, can take between 30 to 90 days, depending upon availability of assessment appointments. Students who are accepted for early entrance spend the first semester of the school year in a transitionary period to determine if kindergarten is truly the best fit for their social, emotional, behavioral, and academic needs. During this time the student will be required to pass additional kindergarten beginning of the year assessments per their written acceleration plan. Exemplary attendance during kindergarten is necessary so that Early Entrance students can transition into the academic school environment with as few disruptions as possible. At end of the first semester, the final evaluation of their readiness for whole grade acceleration is determined. At the end of this transition period, a final placement decision is made. If a student is successful in this transition period, he/she becomes a general education kindergarten student. If concerns arise during the transition period, the kindergarten teacher will communicate with and work with the parents/guardians to resolve any issues in an effort to support the student. Parents who are considering applying for early entrance are strongly encouraged to secure a position in a pre-kindergarten program simultaneously in the event the student is not accepted into Early Entrance. Additionally, parents should be aware that Early Entrance students are placed into classes on a space available basis, so most receive seats in afternoon kindergarten. The following websites discuss kindergarten entrance age and may be helpful in making a decision about applying for Early Entrance. Please note that these articles are not specifically about Ohio so entrance cut off dates and application and testing processes mentioned may not apply under Ohio law. Be involved in developing your child’s giftedness. Monitor your child’s exercise and practice, or if your child is gifted in academics, check his or her homework. Share with them, in a loving way, your unique experience and knowledge in the area where they are gifted. You can also be involved in their practice. Sit down beside them at the piano while they are practicing, give praise or gently correct them or give them advice if necessary. Serve as motivation and encouragement for your gifted child’s efforts. Stress the importance of hard work and doing one’s best. Even the best talent can only blossom with hard work. Tell your child there is work or practice to be done before they go out and play. In making your child spend time in practicing their talent, appeal to their love for the field and remind them of the rewards for being the best they can be. Challenge your child at the optimal level, but don’t put too much pressure, especially if your expectation from them is unrealistic. Ensure that your child makes productive use of their time. Provide your child with an enriched environment. This includes finding a good teacher to develop your child’s talent and ensuring the teacher is doing a good job. Put them in the best school you can afford or find a school where you can get free or low-cost tuition. Take the family to watch competitions or attend concerts so your child will learn more about their field and observe the performances of more advanced people in the field. Expose your child to resources that make them stay interested and motivated in their field. Subscribe to magazines, and buy them books, videos, or software that are related to their field. Give them space where they can practice. Convert an area of the house (like a basement or an attic) where your child can have space and privacy to work. Learn to judge your child’s progress and assess their strengths and weaknesses. Attend all of their meets, tournaments or recitals so you can gauge their developments. Give rewards and praise for a job well done. Decorate your family room with ribbons and trophies that your child has won or fill a scrapbook with newspaper clippings about their achievements. Stress the joys and pride in winning, as well as the satisfaction of doing one’s best. Teach them the values of setting goals and doing one’s best to attain them, and establish priorities. Tell them they can only be good at one thing at a time. Defining a task and sticking to it is the way to excel. Recognize and respect the relationship between social and emotional needs and academic needs. One affects the other. For example, whether a gifted student is challenged or able to work at a pace that is stimulating can affect his or her emotional well-being. The most common reason gifted students are referred for psychological assessments is rooted in their becoming a behavior problem in school after having previously been a strong student. The root of the behavioral change is the manifest frustration with not being challenged in school. For many students, this connection goes unnoticed until it is far too late to help them. Be cautious about forcing your desires on students based on your perception of their strength areas. Talent manifests over time and with opportunity. Determining for a child what his or her “gift” or “talent” is without allowing for flexibility or encouraging additional self-exploration may cause a number of problems starting in adolescence. A positive outcome of nurturing a talent is the development of a lifelong vocational interest or hobby. Teach pro-social skill development. Teaching gifted students a handful of social skills can reduce the number of negative experiences they may encounter while in school. The phrasing of questions and comments and the ability to understand another person’s perspectives are skills that are helpful in teaching gifted students to navigate the difficult social waters in schools. Teach them to enjoy nonacademic activities. As appropriate, try to teach gifted students to recognize that nonacademic pursuits are also important in one’s life. They become stress relievers and additional areas where gifted students can grow. Modeling works well in teaching this lesson. Teach gifted students ways to manage stress. As they move through the grades, many will experience growing amounts of stress. Ironically, much of this will be self-imposed or a consequence of only their gift being recognized by those around them without concern for their needs as individuals. Because many gifted students develop coping strategies, educating them about how to effectively manage stress may prove relatively easy. To accomplish many of the suggestions previously noted, adults should model the behavior they wish gifted students to exhibit. Like all children, gifted students learn from the behavior of adults. Whether it is effective coping strategies, non-threatening communication techniques, or how to relax, teachers, counselors, and parents often become the models children follow. If you want your messages to be influential, let the students see you behaving accordingly. Understand that much of how gifted students appear and behave is biologically affected. Do not try to change the basic nature of the student. Shyness, for example, like some physical characteristics, has roots in biology. Like the relationship between body type and weight, shyness and a student’s willingness and ability to actively participate in class are related. Respect the nature of the individual gifted child. Embrace diversity; do not merely tolerate it. To tolerate suggests a position of authority or position of judgment that allows someone to decide what human differences are meaningful and, therefore, acceptable versus what differences are intolerable. This special privileged position tends to disadvantage gifted students because giftedness rarely makes people’s lists of meaningful differences. As a teacher, parent, or counselor, you are in a position to have a significant impact on the minds of gifted children. Expose gifted students to knowledgeable counseling. Avoid professionals who are not knowledgeable about gifted students. A proactive counseling program can be invaluable to gifted students. Learning about oneself and how to effectively relate to others in school can positively affect the psychological development of gifted students. Conversely, messages learned from untrained counselors and psychologists who rely on intuition when providing services can actually exacerbate problems in the social and emotional realm. Know that many gifted students will have created coping strategies while in the earliest grades in school. By first grade, some gifted children have begun to engage in behavior patterns that reveal their discomfort with the gifted student label. Some of these strategies reflect their tacit knowledge about the social milieu of their classroom. Knowing that these patterns exist can enable teachers, counselors, and parents to understand the worries and behaviors surrounding gifted students’ school experience. Provide opportunities for downtime. All children need time to relax away from school concerns. Arranging downtime for some students will come easily, but for others it will be quite difficult. Providing gifted students opportunities to explore or read for pleasure can reduce stress and may have the positive effect of increasing vocational pursuits when they get older. Information excerpted from Tracy L. Cross, Ph.D.
My child gets all “advanced” scores on the Ohio AIR tests. Doesn’t that mean he/she should be in a gifted class? The Ohio AIR tests are tests given at the end of each school year on the material the student has been studying for the previous nine months. The expectation is that all students should have learned the material because they have been taught the information and concepts multiple times, have had multiple opportunities to work with the material, and should master it in order to move onto the next grade level of material. The Ohio AIR tests are a review of the grade-level content standards the students have been studying in class. The expectation is that every student should be able to pass the Ohio AIR test. The test is a criterion-normed test, which means that, in theory, every single student who takes the test could potentially get a perfect score. The scoring range on the test is limited, basic, proficient, accelerated, and advanced. For students who are college bound, the expected score is in the accelerated range. Students in the advanced range do show they have mastered the current content at a high level; however, these results do not show any mastery of above-grade level material; do not show the potential to be successful in a compacted or accelerated curriculum; do not indicate cognitive ability; and do not compare students with the performance of other students from a national sample. 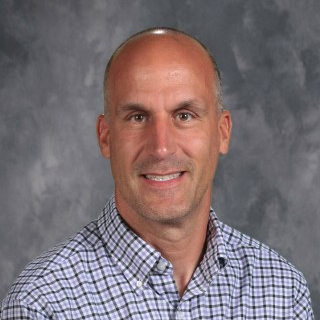 As a high-performing district with many hard-working students and exceptional teachers, Pickerington Schools is fortunate to have a significant number of students score in the advanced category every year. In order for a test to be used for gifted identification, it must be nationally norm referenced. Norm-referenced tests compare an student’s performance to that of other students. The goal is to rank students so decisions about their opportunity for success can be made. For gifted identification, a student must place in the top 5 percent of all students across the nation (not just Ohio). Criterion-referenced tests (like the Ohio AIR test) differ in that each student’s performance is compared to a predefined set of criteria or a standard. The goal with these tests is to determine whether or not a student has the demonstrated mastery of a certain skill or set of skills. These results are usually “pass” or “fail” and are used in making decisions about job entry, certification, or whether a student has learned the required material to be prepared for the next grade level. What if my child misses qualifying for gifted services by one point on the ability test? Technically, no child missed the qualification by one point because the state criteria includes the standard error of measurement. Students are typically given a 3-to-5-point benefit-of-the-doubt window below the required score allowed to qualify. To be excluded from service, a child‘s score would actually have to be below that extra window. Hence, the criteria have already allowed for close scores to qualify. Additionally, eligibility for service is determined by a student‘s best scores during a 24-month period, which allows a child numerous opportunities to be tested to achieve qualifying scores. For example, the actual gifted identification score on the Otis Lennon is 130; however, a 126 is allowed to qualify because of the standard error. So, students at 125 are not technically one point away, but five points away from qualifying. The State of Ohio has already allowed for students who are one-to-four points away to qualify for gifted identification. Additionally, one point on an IQ/SAI test does not necessarily equate to one or even two questions. Many tests have clusters of questions that differentiate stanine scores. In some cases the difference between one or two points can actually involve the difference in answering multiple questions incorrectly. My child does not meet the criteria for receiving gifted services, but is bored in the regular classroom. Is there a way that my child can participate in the gifted classes? Only students who meet the criteria are eligible to participate in gifted classes. Students who do not meet the criteria are not eligible for gifted services under state law and Pickerington Schools Board of Education policy. While we realize that relying on test scores to qualify students for gifted services is not a perfect system, it remains the best system for that purpose and the state law in Ohio. It is always regrettable when the eligibility criteria eliminate a student who seems a good candidate for those services. Additional testing opportunities occur each school year, and these offer multiple chances for a student‘s abilities to be recognized. Occasionally, though, there is a student who does not perform well on tests. The good news is that the general curriculum at Pickerington Schools is focused on helping all students reach their highest potential. There are many opportunities for enrichment within the regular classroom, and many high-achieving students thrive in this environment. By working with your student’s regular education teachers and school, you can find opportunities for enrichment and growth both inside and outside of the classroom. When should I consider outside testing by a State of Ohio licensed psychologist? Some families have considered the option of outside testing by a psychologist. There are a number of issues to consider when pursuing this option. One is cost; individual testing can run hundreds of dollars. Another issue is the emotional impact on the child. It is crucial that students not be made to feel as if they have failed the standardized tests or that the individual testing is a do-or-die situation. Families considering the possibility of outside testing should discuss it with the gifted coordinator and should clarify ahead of time which tests are state-approved for the purpose of gifted identification. Outside testing data performed by a licensed psychologist in the State of Ohio shall be accepted for identification and service if it is less than 24 months old, occurred when the student was at least in second grade, and used a testing instrument from the Ohio Department of Education’s Approved List for Gifted Identification. For information on submitting outside testing data, contact Leanne Ross. My child gets all A’s. Shouldn’t s/he be in the gifted program? Many high-achieving and hard-working students earn good grades because they have important skills such as perseverance, study skills, motivation, and determination. These qualities are extremely valuable to success both in school and in life; however, while these qualities may result in high grades, they are not necessarily indicators of giftedness. Gifted students score in the top 5 percent of all students in the nation on both cognitive and academic testing. This means that gifted students are both born with an innate ability and have used that ability to achieve at an extremely high level academically. This combination sometimes leads to a high grade-point average, but can also lead to efforts and achievements that do not always match directly to the “school system.” By State of Ohio law, giftedness is measured through intelligence and nationally normed achievement tests, and not by grades, local assessments, or even state tests (such as the AIR test). Why doesn’t STAR count for gifted identification? According to the STAR test, my child is three years above grade level. The State of Ohio Department of Education has reviewed the STAR tests and determined they are not appropriate for gifted identification. STAR is a quick screener with very basic questions to help determine if students are on track, in need of intervention, or in need of enrichment. STAR gives a range and a top level, but does not actually give a definitive grade level. Despite its usefulness for universal screening in the response-to-intervention model, there are some aspects to the STAR test that are limiting and, hence, not appropriate for gifted identification. For example, for one sixth-grade student, STAR Reading reported the student’s range of 4.8 to 11.4. While it is true that the top is 11th grade, this only means that some of the questions out of the 34 the student answered are ones that a 50th percentile 11th grader also would have been expected to answer correctly. Conversely, it also means that some of the questions the student answered were ones expected to be answered correctly by a 50th percentile 4th grader. This STAR screener does not suggest that the student is ready for 11th grade material, but suggests that the student may have answered some questions correctly ranging from 4th to 11th grade and also has answered some questions incorrectly within that same range. Why isn’t gifted programming an inclusion class, just like special education? Some gifted courses (Gateway Math and ELA, MathPlus, Gifted ELA 9, etc.) teach students an entirely different curriculum than their grade-level peers are experiencing in the regular curriculum. In these cases, it is impossible to have an inclusion model for gifted education because no other students are taking the same class and learning the same course material. To do so would be the equivalent of putting 10th graders together in the same room with one teacher and having that teacher teach both biology and chemistry at the same time because the students were in the same grade and same content area, even though they were taking different curriculums. Other gifted courses (Gifted English 7) are taught at an accelerated pace so that enrichments can be added to supplement the general curriculum. In these courses, some material is not explicitly covered by the instructor because the class as a whole is able to show (through pre-assessment) that they are already proficient in that material. In the current one-teacher model, inclusion would be a disservice to general education students, who would be expected to experience material at a pace that was not appropriate for their learning needs. My child was in a gifted/honors/advanced class at his/her old school and now doesn’t qualify here at Pickerington. Why is that? Although all school districts in the State of Ohio must follow the same state law for identification of gifted students, they do not have to set the same criteria for gifted service. Additionally, classes labeled as honors or advanced can be comprised of students meeting any criteria that a district selects. These are rarely equivalent to gifted courses. At Pickerington, all classes labeled gifted require, at a minimum, a gifted identification in the content area of the course and an SAI/IQ at a level significantly above the norm. This is because these courses are taught both at an accelerated pace and at an enriched level. Research has shown that students need to be able to handle both the depth and breadth of the content area, and to be able to learn the new material quickly to succeed in this type of course. Hence, both academic and cognitive ability are required for placement into Pickerington’s gifted programming. 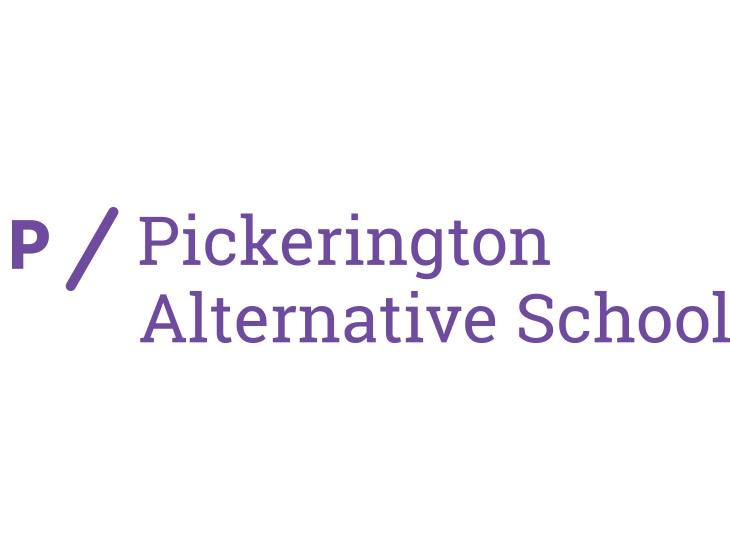 Criteria for all gifted and advanced courses at Pickerington have been carefully selected based on the analysis of student data during multiple years. These qualifications help select students who have the highest potential of succeeding both in the current course while also building a solid foundation of learning that can be retained and built upon for success in all future courses. The goal is not to place students in a gifted or advanced course that they can simply “get through,” but instead to match students with courses that they are completely prepared for intellectually, academically and emotionally — and that they are ready to achieve and excel in. How do I get my child tested? All students are automatically tested as part of whole grade testing in second, third, fifth, and 11th grades. Students enrolled in Pickerington Schools may be referred for gifted testing by using the Screening Referral. Fill out this form completely and submit it prior to the fall or spring deadline. Select the areas where you have seen evidence that your child may qualify as gifted in accordance with Ohio’s definition. Your student will be tested during the following testing window. Unfortunately, due to the large number of testing referrals, parents cannot be notified in advance of the specific date or time that their student will be tested within the window. Students are tested during regular school hours and do miss regular instruction for gifted testing. Although they are excused from class, students are expected to make up any missed assignments. The results of the testing are sent to the parent or guardian either via a letter that comes home with your student or through email notification. Is Pickerington’s gifted program “tracking” of good students? The Pickerington gifted program is not a tracking program because it allows students to enter the course sequences at multiple points. Tracking refers to separating students into categories with levels of course difficulty with tracks, such as basic, honors, or college-prep paths, or by outcomes such as academic, general, and vocational career paths. Tracking also suggests students have one limited opportunity early in their academic experience to be sorted into their “track,” which is then set for their entire educational career. All of Pickerington’s gifted programs offer multiple years between third and seventh grade to enter into the courses or programs. Students who move into the district or mature academically later than the initial entry point of the gifted program (fourth grade) and earn the qualifying scores for a given gifted program can enter that program at the beginning of any subsequent school year. The only exception, due to the sequential nature of the math and science curriculum, is that students must meet prerequisite classes once they reach high school credited courses. These classes generally do not begin before eighth grade, giving students multiple years to meet the standards for gifted identification and enter the programming before high school credit is offered. Additionally, Pickerington Schools does whole grade gifted testing in second, third, and fifth grades to allow multiple opportunities for all students to qualify for gifted programming. Further, all parents may request retesting up to twice a year through the Screening Referral. Two testing dates in August are offered every year for new move-in students to test for gifted identification and placement before the first day of the new school year in which they enroll. The district also accepts gifted identifications and test scores within the past 24 months from previous school districts for move-in students. Finally, proactive testing is offered to students who have testing histories that suggest that they are close to qualifying for gifted programming. How does the district decide what level of service to give to gifted students? Gifted students are identified in two major ways related to academic performance. The first component of identification has to do with ability and is measured by an intelligence quotient (IQ) or School Ability Index (SAI) test. This ability test measures a student’s cognitive skills, working memory, learning capacity, and reasoning capability in comparison to age-level peers. The second component of identification has to do with achievement in a specific subject area (math, reading/language, social studies, science). Achievement deals with the amount of material a student has mastered in a content area at a particular point in time in comparison to grade-level peers. In placing students into gifted programming, both ability and achievement must be taken into consideration. For programs that require students to learn material at an accelerated pace (for example programs where multiple years of material is taught in one school year or where there is an accelerated curriculum), it is imperative that students have both high ability scores and high achievement scores in the content area. The high ability score gives the student the learning capacity and the adequate processing speed to move at the accelerated pace, while the high achievement score indicates the strong foundational knowledge to build the additional content upon. For programs that include only enrichment of a subject area (going deeper into the content but not covering higher level content and not accelerating the content by covering multiple years’ content in one school year) which are generally cluster group general education classrooms, students would only need to be identified as gifted in the content area. They would not necessarily need advanced cognitive skills, but would need a strong achievement level to have a good foundation. The exception to this would be programs that provide only enrichment but feed into subsequent programs that include both enrichment and acceleration (examples include Gifted ELA 7 and 3rd Grade Math Enrichment). This type of program would require a cognitive score because although the first year of the program may only provide an enrichment foundation, subsequent years will include a more accelerated pace. Most of the gifted programs in Pickerington Schools include both acceleration and enrichment. The programs have both and IQ/SAI requirement and a content requirement. For example, the Gateway Academy requires a 130 SAI/IQ and both a math and reading/language content area identification. This is because the students in Gateway Academy are accelerated in both math and reading during their three years in the program. (They accelerate two full years in math and one full year in reading/language by the end of the program.) They also also receive enrichment in these subject areas, as well as in social studies and science. Students in the MathPlus 4, 5 and 6 classes are required to have a 122 IQ/SAI and a math content area identification because they also are accelerated and enriched in math. Students who are in the Math or Reading Cluster classes are only required to have a math or reading identification because they only receive math or reading enrichment with no acceleration. Each service level is designed to meet the needs of the unique identification level of the individual student. Gifted services must be provided in differing ways and in different settings to meet the specific levels of identification of each student. The range of gifted students and their unique needs is extremely diverse, and they benefit most when serviced with students with similar identification profiles in environments where their specific identification areas are being served. Whether you are moving to Pickerington Schools from across town or across the country, you will find challenging programs for your gifted student or students. In Ohio, schools are required to identify gifted students using the same set of standards, which are outlined by the State Department of Education. Each district establishes its own level of service, service criteria, and service programming. Your student may be served in a manner similar to or very different from your previous district; however, the high academic performance of all students in Pickerington Schools is a testament to the outstanding educational opportunities that await your family. Our general education classrooms offer differentiated instruction and a variety of specialized programs offer enrichment opportunities in each building. Our formal gifted services begin in fourth grade and continue through high school. Pickerington Schools offers Gateway Academy as a comprehensive gifted program for our students who have gifted identifications in math, reading/language and cognitive abilities in grades 4-6. The core gifted programming in fourth through sixth grades available at all home schools is focused in math. At the junior high school level, the core program expands to include math, English and science. At the high school level, the gifted program expands to all subject areas through Advanced Placement and College Credit Plus offerings. In order to place any student into a gifted or advanced class here in Pickerington, that student must either produce records from a previous district that show eligibility for the course/program or test into the program upon enrollment. Although the district will request all records from your previous district, the time frame to receive those records varies greatly and can be significantly delayed at particularly busy times of year (beginning of the school year). 3. Nationally normed testing results in achievement in reading, math, science (Terra Nova, Iowa Test of Basic Skills, Stanford Achievement Test.) Ohio AIR tests are not recognized as indicators of giftedness (as they are criterion normed). Annual year-end state tests for out-of-state students also cannot be used for gifted placement. 4. Any letters with gifted identification. 5. Any other documentation from a gifted and talented department, or testing done by a licensed school or clinical psychologist for the purpose of gifted identification. 6. Report cards that show transcribed credit for above-grade-level courses (e.g., student is in sixth grade but report card shows student took seventh-grade math.) Honors or advanced courses do not signify above-grade-level course work. For above-grade-level credit to be awarded, the course must specifically indicate so by the course name and grade level. These records can be emailed directly to the attention of Leanne Ross. Parents or guardians who enroll students they believe are gifted have 10 school days in which to request testing for possible gifted identification. They should do so by emailing Leanne Ross or calling 614.834.6400. These students will be tested within 90 days of enrollment. After the 10-day initial window for new students, parents may request testing using the Gifted Screening Referral Form. The student will be tested in the next testing window. For new students who enroll in the summer and request placement into gifted or advanced programming, there are two dates in early August each year where open gifted testing of new students takes place. This allows new students to test before the start of the school year and have a completed schedule rather than having to wait to test during the first week of school. Contact Leanne Ross for more information about these testing opportunities.